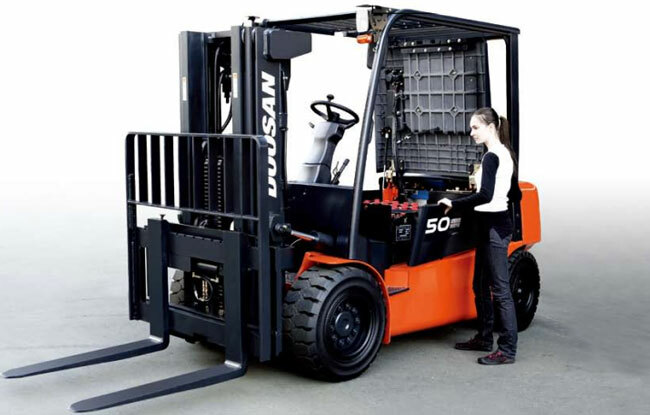 The bottom line for evaluating a lift truck is PRODUCTIVITY…. and that’s where the Pro5 Series really stands out. 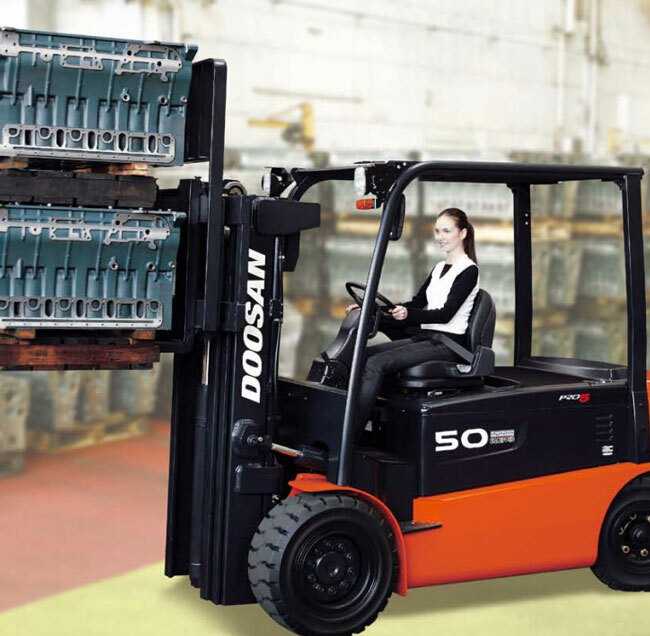 Productivity of an electric truck is a combination of speed, control and energy consumption — which have been achieved through several exclusive Doosan design innovations. Lift and tilt function are locked when operator leaves truck. When stopping on a grade, anti roll back & down system holds truck in place. Wider mast window, repositioned hydraulic hoses and flat bar style overhead guard optimize operator sight lines forward, up and to the load. Permits precisely controlled load movement by literally lifting only a finger to significantly reduce operator movement and expended effort. Easily handles refreshments, paperwork, small tools, etc for operator efficiency. The combination of LED displays and 7-digit graphic LCD display intelligently provides operators with all the details they need, including operational information, diagnostics, and programmable settings. The 4 display buttons offers a choice of four power modes; heavy duty, standard duty, economic duty and slow travel speed mode. Standard instrument images are displayed at the right. Our innovative AC technology of drive and hydraulic motors eliminates motor brushes, commutators and directional contactors, thus reducing maintenance and decreasing overall operating costs. The large, 10kw drive motor provides outstanding power capability throughout the operating shift. Our truck talks to you! The Controller provides both runtime and trouble-shooting diagnostic capability to tell you the source of a problem so it can be corrected quickly and easily. In addition all controller programming can be locked in to guard against tampering. 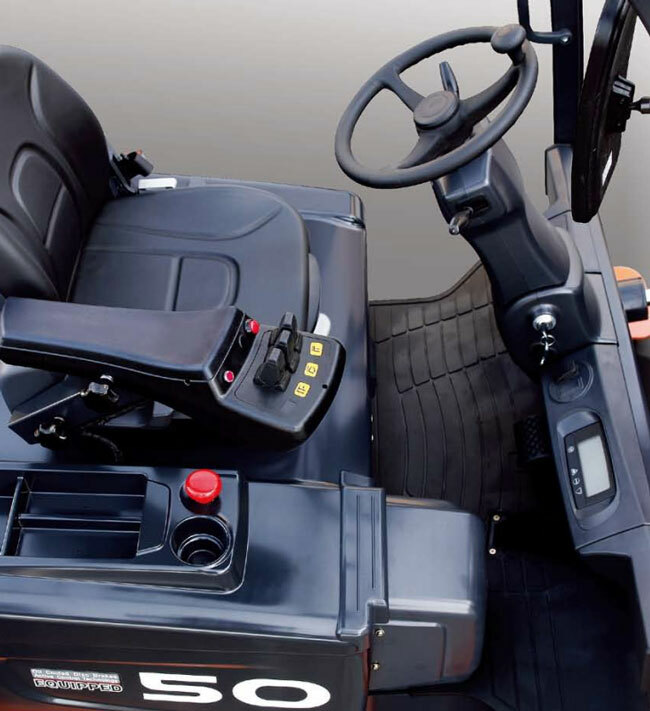 Virtually maintenance-free, ODB is standard equipment on the PRO5 Series,B45X-5. 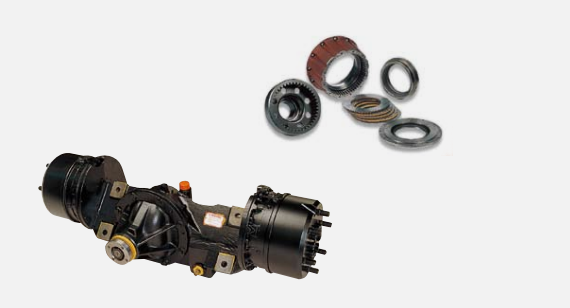 The enclosed brake system eliminates outside contamination significantly extending the brake life up to 5 times longer when compared to conventional shoe brakes. Doosan unique designed twin drive axle is installed on PRO5 Series, B45X-5. It is controlled by integrated drive controller and the twin drive axle effectively transfers the power and torque of the drive motor to the final drive for smooth and quite operation. Continuous temperature monitoring of panel and motors to maximize material handling productivity.